I really hope, that one of the four (or all) 2018 GRAMMY-nominations will bring the actual winning of the gilded gramophone to Morten Lindberg and his stand out record label 2L. You deserve it, my friend! 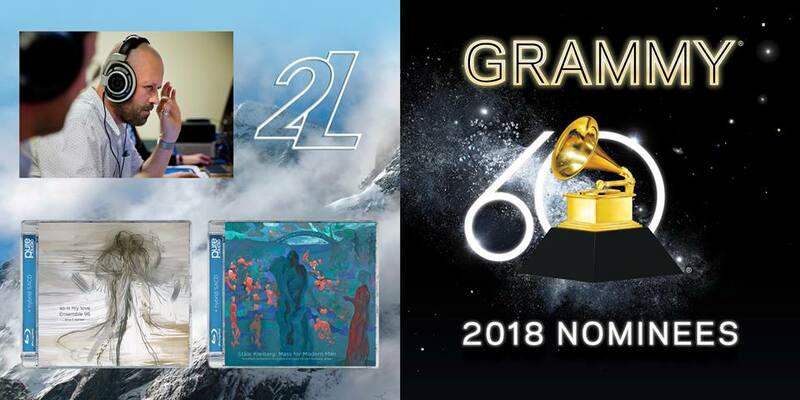 Norwegian label 2L have garnered no less than 32 American GRAMMY-nominations since 2006, 24 of these in categories Best Engineered Album, Best Surround Sound Album and Producer of the Year.